Easter was a group effort this year in DC, with friends gathering at the communal table and sharing their best celebratory dishes to serve with a cognac-marinated leg of lamb. We were too hungry to get a lot of photos… but can absolutely testify to the tastiness of everything. Slow-Roasted Leg of Lamb. Marinated in cognac, garlic, marjoram, thyme and onions, the main course was an improvization based on recipes for Spanish lamb and Greek slow-roasted lamb from MoVida Rustica and Gourmet Magazine, respectively. Whipped Celeriac and Potatoes with Caramelized Onion and Leeks. While the potatoes and celery root boiled, we caramelized onion and leeks in lots of butter for last-minute incorporation into the whipped root vegetables. Asparagus, Feta and Couscous Salad. Mateja kept the Mediterranean theme going with this fresh and light salad, modifying the dish with the addition of chopped red onion, more asparagus, plum and balsamic vinegar, and a blend of dried herbs. Carrot Salad wth Parsley and Mint. Elizabeth treated us to this crisp and delicious salad, perky with white wine vinegar dressing. Kathryn’s Homemade Biscuits. We rewarmed these tasty risen biscuits right before serving. Recipe from King Arthur Flour’s Baker’s Companion. Roasted Tomatoes with Sumac and Marjoram. The twist here: The tomatoes were tossed in a specialty olive oil from New Zealand that exuded buttery goodness. Feta-Phyllo Torte. This savory pastry from the New York Times never fails to impress. We substitute ricotta for the cottage cheese and load it up with thyme and marjoram, in addition to the dill. Green Deviled Eggs. 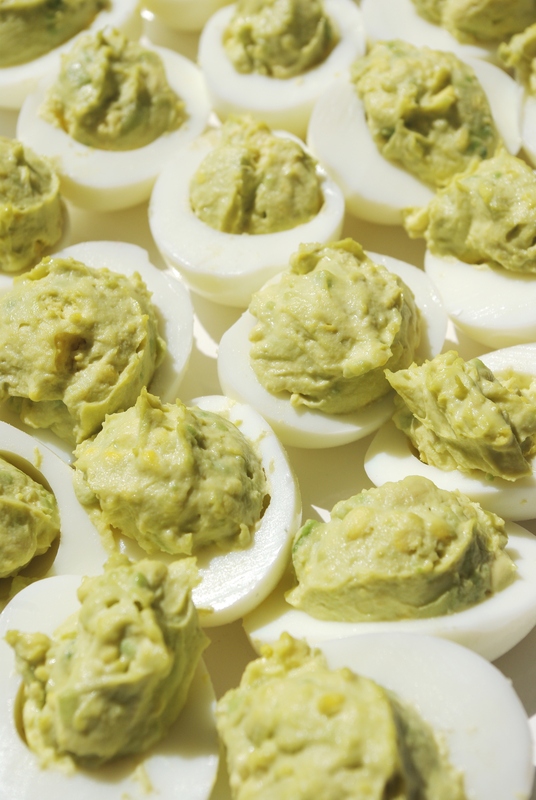 Inspired by Dr. Seuss, these greenish eggs packed a spicy punch. 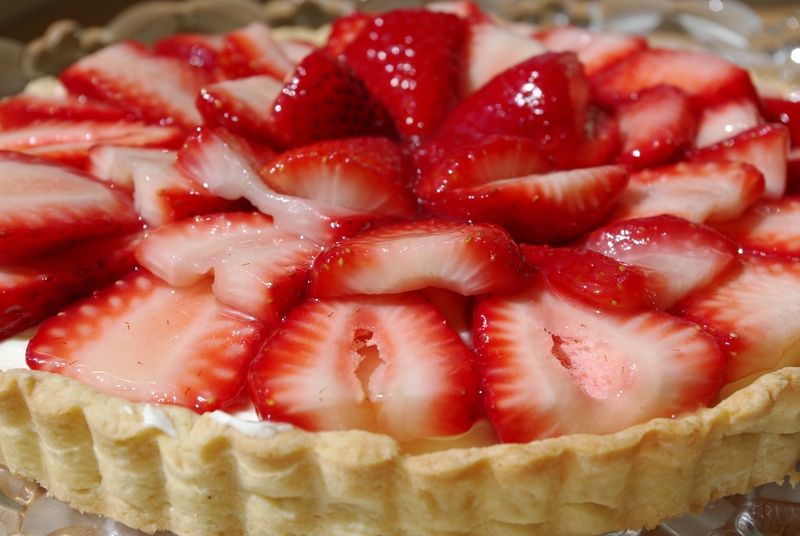 Strawberry Marscapone Tart. A Gourmet confection with a lightly sweetened layer of marscapone cheese, whipping cream and vanilla covered by glazed fresh berries. Raspberry Frangipane Tart. Gourmet provided the recipe for the frangipane base, which, once baked and cooled, was covered with glazed raspberries. particular submit extraordinary. Great process!